Coat the insides of the cones with the melted chocolate and dip the ends in. Stand up in small glasses of jars. Decorate with the chopped pistachios and rose petals. Place in the freezer to set for 5 minutes. Combine the Almond milk, rose water, Du Chocolat and maca powder in a cocktail shaker or large jar. Place lid firmly on and shake until ingredients are combined. 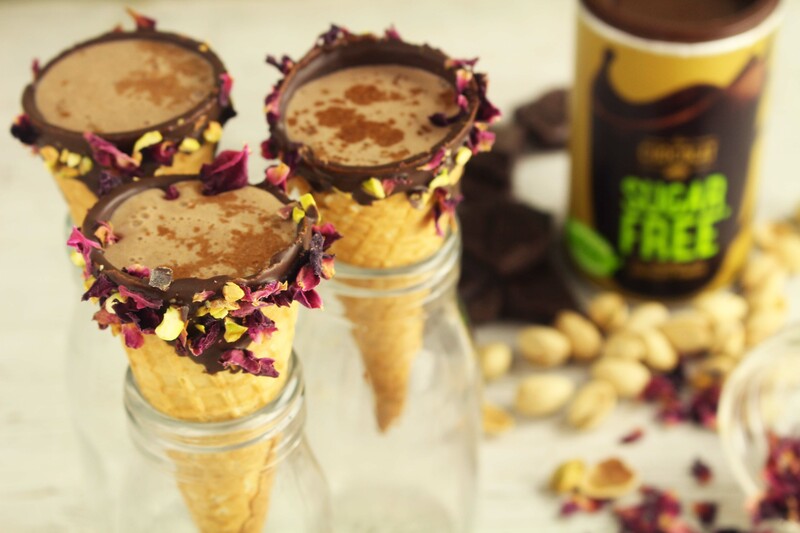 Pour into the cones and sprinkle with extra Du Chocolat.